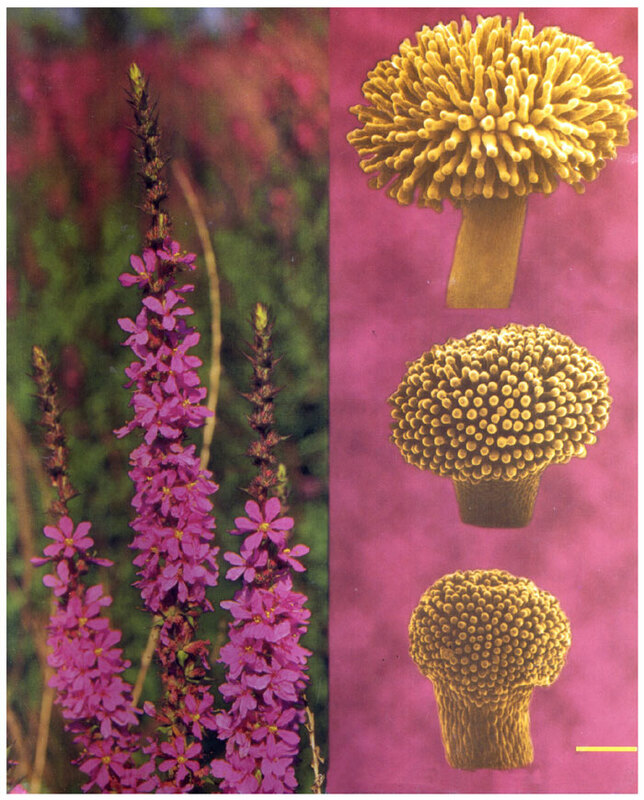 Inflorescence with flowers of purple loosestrife, Lythrum salicaria (left panel). Depending on the relative length of styles with respect to stamens within flowers, individuals are categorized into three floral morphs. 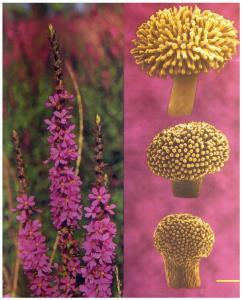 The three floral morphs also differ in size and shape of stigmas (right panel). Stigmas (toplong morph, middlemid morph, and bottomshort morph, in the right panel; bar = 200 µm) are digitally false-colored computer-enhanced images from scanning electron micrographs. Photo credit: M. Biernacki, T. K. Mal, R. J. Williams, and The Camera Shop, Broomall, Pennsylvania.